From a recent JAVMA (Apr 1, 2015) : World Veterinary Day will be celebrated on April 25, 2015. 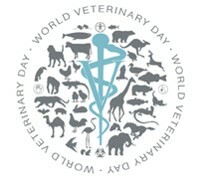 This celebration is lead by World Vet Association (http://www.worldvet.org/). The focus of this years “Day” is on vector-borne zoonoses. While most of these don’t pose many overwhelming threats in North America, they pose significant losses (productivity and mortality) in many other places globally. This week, MSU-College Vet Medicine is hosting 4 visitors from Uganda. Our guests are associated with their National Agricultural Research Organization (NARO : http://www.naro.go.ug) and the National Livestock Resource Research Institute (NaLIRRI). These agencies function much like our USDA. Also of note: the American Public Health Association (APHA) is celebrating “National Public Health Week. In a spirit of “One Health” why not check out their website: http://www.nphw.org/ for ideas and events in your area. This entry was posted in Animal Health, Global Health by Skip Jack. Bookmark the permalink.